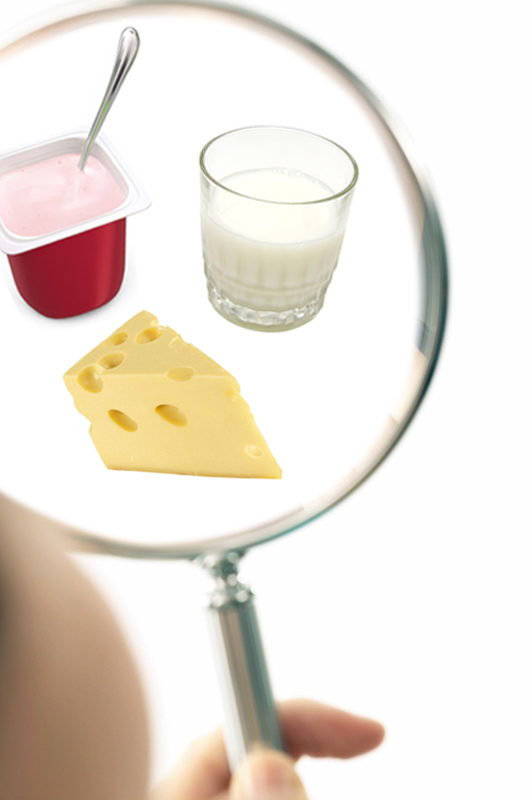 Berry on Dairy: Dairy Foods Innovation: It’s time to be better. That’s where your advantage lies. Dairy Foods Innovation: It’s time to be better. That’s where your advantage lies. Data is useful…but it’s the analytics and inspiration that follows [that matters]. Never forget the human need and requirement [for the product]. That’s where your advantage lies. A lot of what was discussed by the consumer packaged goods experts was beyond the scope of the Daily Dose of Dairy blog—we’re talking the head of analytics for Google, director of client strategy at Oracle, and senior leadership at companies such as Nestle, Procter & Gamble, Mars Wrigley, The NPD Group and more—but it was fascinating. Brad Piggott, senior vice president-revenue, North America, Cuebiq, summed up the current omnichannel world. “The shopper is in the driver seat,” he said. We need to figure out how to make the shopping experience smooth for them in this new world of bricks and clicks and swipes and voice. “It used to be that a brand was a surrogate for value,” said Jason Goldberg, senior vice president of commerce and content practice, SapientRazorfish. Now consumers google a value-based question and more often than not base their purchase decision on reviews. Social proof sells. Brands today need to apply as much innovation to driving loyalty as they do to building products and services, according to SapientRazorfish. Loyalty. It’s a word that’s being used a lot in the news. And it’s powerful. What is your company doing to drive loyalty to your brand? Maybe the industry needs to be more aggressive when it comes together to collectively drive loyalty to dairy. Let’s make sure we communicate the human need for nutrient-dense milk and dairy foods. That’s the dairy industry’s advantage. And remember, innovation is not copying the competition, albeit even if the competition is very successful. Innovate, continuously. And let the shopper know all the great qualities of your product. Tell them why your product is better. Then start all over and do it again. That brings me to a new product in India. Bangalore-based Goodness! 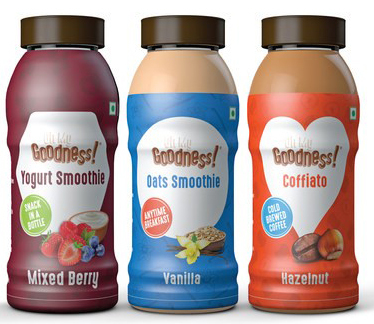 Beverages is a three-year old beverage startup. Chaitanya Chitta, co-founder, explains that the product started developing a loyal following from the very beginning, namely moms looking for fuss-free nutrition for their growing children who no longer found milk appealing. The company prides itself on doing dairy differently. And it’s working. Some of you might not like a dairy beverage being promoted as better than milk. But it is and it’s working. More Protein, Tastier Protein: A normal serving of milk usually has 3.5 grams of protein in 100 ml, all Goodness! beverages have at least 6 grams of protein. More protein helps kids grow better and helps adults build muscle mass and health. Real Fruits and Ingredients for Added Nutrients and Less Added Sugar: The drinks contain no artificial ingredients, colors or flavors, and careful crafting allows for as much as 40% less sugar than other dairy beverages. Zero Preservatives: None needed, none added. A combination of heat and pressure treatment helps retain freshness without the need for refrigeration. The product has a 90-day unopened ambient shelflife. Easy to Drink, Good to Drink: Eco-friendly, single-serve bottles stay fresh at room temperature and are great for on the go, lunch boxes, pre- or post-workout, anywhere and anytime. Suitable for all Ages: The beverage has a safe, clean-label ingredient list and comes in flavors that appeal to both kids and adults.